Summertime is all about fresh, local produce paired with grilled meat. We make grilled tenderloin in the summer often but the best part of this recipe is it tastes good year round. 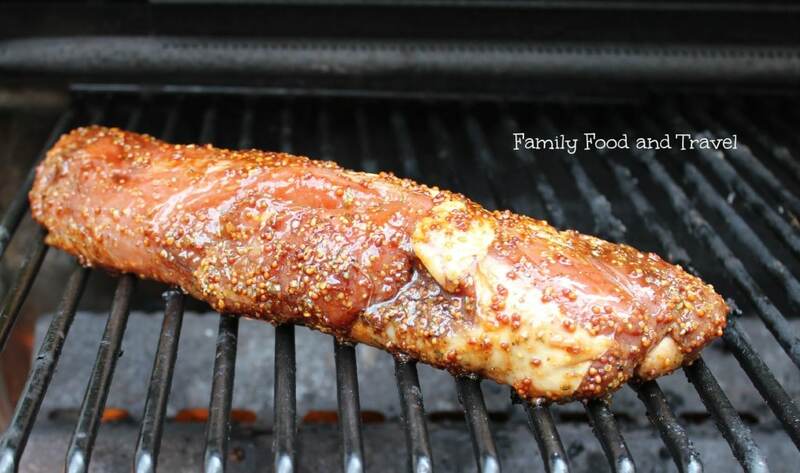 We love that this grilled pork tenderloin recipe is easy, delicious and full of flavor. 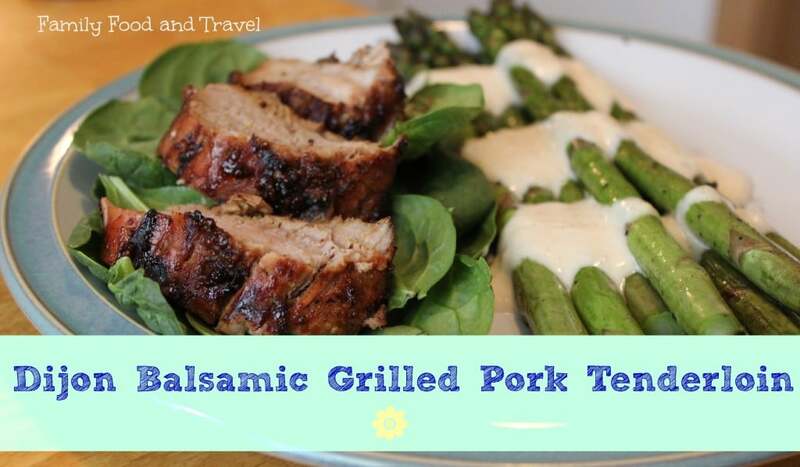 You will love that the marinade includes ingredients you readily have available and you will make this easy marinated Dijon Balsamic Grilled Pork Tenderloin a staple at your house too. The fresh combination of dijon, balsamic, and honey makes the pork tenderloin delicious and tender. With a simple marinade, this grilled pork tenderloin is transformed from a boring dish to one with added flavor, a bit of sweetness and a brown outside that looks great sliced and served on a plate or platter. Why not marinade a couple of pork tenderloins so you have leftovers? 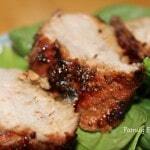 Our Dijon Balsamic Grilled Pork Tenderloin is fantastic in a sandwich too. Our recipe for grilled pork tenderloin is great served on a bed of spinach, rice, or alongside grilled vegetables or roasted root vegetables. 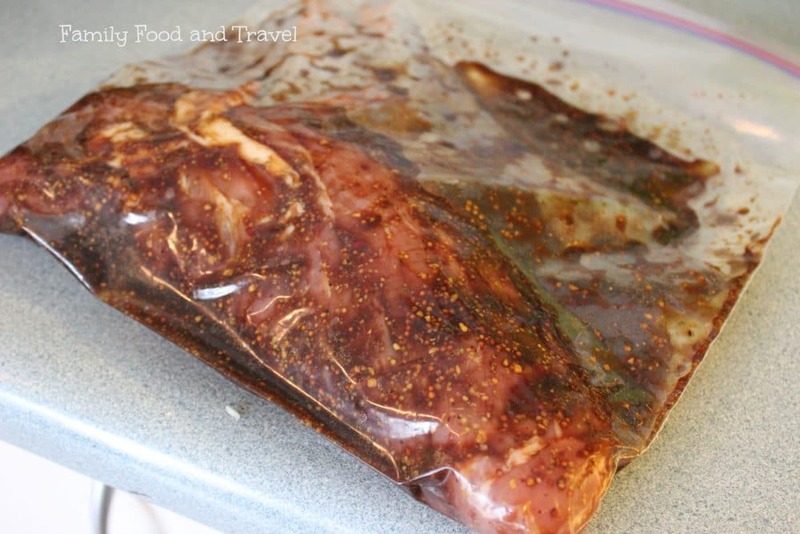 Pour marinade in a large ziplock bag with pork tenderloins. Refrigerate for 2 hours (minimum) or up to 24 hours. Remove from fridge and place tenderloin on the hot grill. Brush with remaining marinade in bag. Turn every 5 minutes until pork is cooked to desired doneness. Approximately 18 minutes. 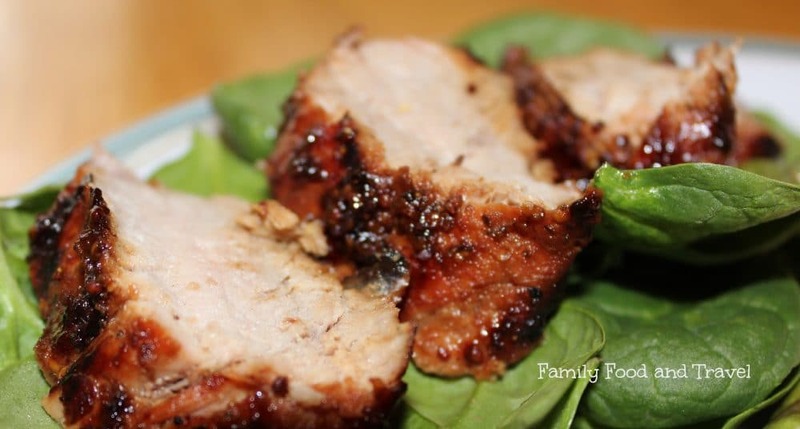 Serve grilled pork tenderloin on a bed of spinach or with desired side dishes. You can also use a Grill Pan to keep your bbq clean and free of sauce. Doesn’t it look delicious on the grill? Yum! A delicious and marinated pork tenderloin that is grilled to perfection. The best grilling recipe you'll make! 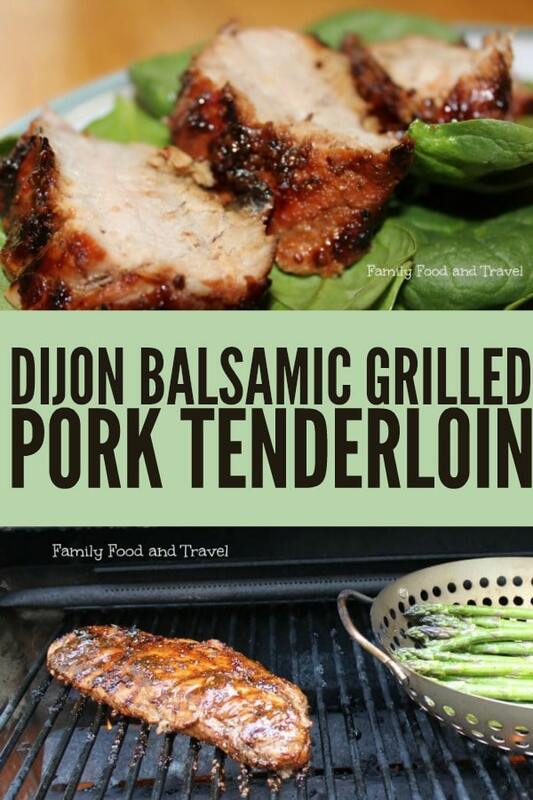 We know once you have tried this Dijon Balsamic Grilled Pork Tenderloin recipe you will make it again and again. I even made it for my in-laws and they loved it so much they asked for the recipe! Now that is a winning recipe. What is your favorite side dish for grilled pork tenderloin? What a tasty looking meal! 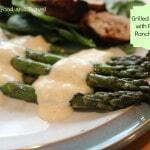 I love that you barbecued asparagus, I had never thought of that! Thanks for showing your marinade technique. Jenna Em recently posted..Our A Turtle’s Tale 2 Party! On DVD July 9th! Oh yummy! I’m not the biggest fan of pork loin, but this recipe makes me want to have some for dinner, LOL. I don’t eat pork but this recipe looks really easy. Maybe I’ll try it out using chicken. Thanks for sharing. Oh this looks delicious! Bonus is that anything grilled is hubbies domain! I made this last night it was delicious. I thought I had pork – but didn’t so I used chicken. Delicious. I use this idea of a marinade often (just never thought to put in honey). Omgosh this sounds delicious! My husband makes a mean pork loin, so I’m going to have to give him a peek at this one! I love new pork recipes, this looks sooo tasty! After I whipped up the marinade, I gave it a try and it was SOOOOOO good. 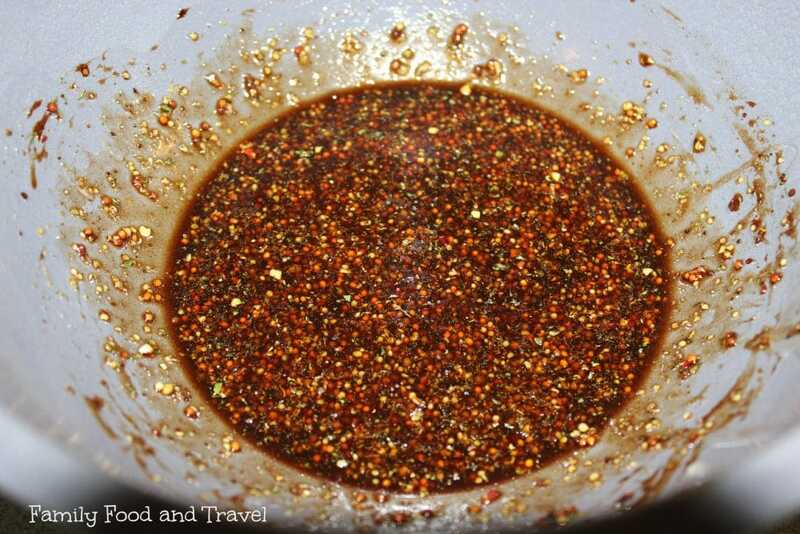 Thanks for this recipe, a tenderloin is ready to go in the freezer with this beautiful mixture. Based on the fact, that I gave it a taste before adding it to the pork, I say it would make a great salad dressing. Lisa – I agree – it is divine! 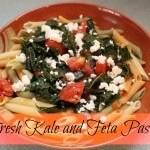 Great idea as a salad dressing too – will give that a try this weekend! I have this marinating now, however a lovely thunderstorm has rolled in. 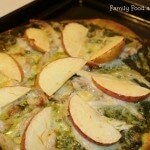 Has anyone tried this in the oven? Results? 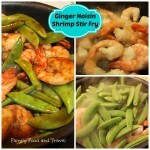 *I see this is a rather old post but I’m looking forward to making this recipe! Yes! I’ve modified it for the oven too. Just as delicious! How would you cook in the oven?? I’m thinking an average size tenderloin would take about 20-25 min? I cook a yummy dry rubbed tenderloin for 5 minutes in a 450 oven and then drop the temp to 300 for 15-20 min! Would that work with this recipe too? I have everything mixed and marinating and it smells so flavorful! Hannah – I usually bake at 350 for 45 minutes or 400 for 30 minutes. Then I take the juices and boil them in a pan on top of the stove with 2 tbsp of brown sugar to make a thick glaze. What modifications did you make for the oven? I bake it in the oven then use the pan drippings to make a sauce by boiling it down and adding brown sugar. I made this tonight and it was so delicious. Followed the recipe exactly as written. Our Twin 18 year old grandsons could not stop eating it. I made an extra recipe of the marinade and heated it for a gravy. Outsatanding! I made this tonight and it was so delicious. Our Twin 18 year old grandsons could not stop eating it. I made an extra recipe of the marinade and heated it to use for a gravy. Outstanding! Yum! Great idea – we often make it as a pan sauce too.